NextShared vs. Managed WordPress Hosting: Which One Is Right for You? Earlier in October, Reuters reported that Faraday Future entered into arbitration with a major investor over a $700 million payment that was alleged to be on the way, but wasn’t. Now, it turns out that possibly missing money has caused some purse-string tightening at the burgeoning automaker. Faraday Future said in a statement today that it is taking some “temporary” measures to shore up its finances. There will be layoffs, but FF didn’t say how many. Those who stick around, though, must also help starve the beast — salaried employees will have their base salaries reduced by 20 percent, while hourly workers will see a 20-percent reduction in hourly wages. Executives will feel the sting even more than ordinary employees. Members of the leadership will see their salaries reduced by an additional percentage, and CEO Jia Yueting has reduced his salary down to $1. 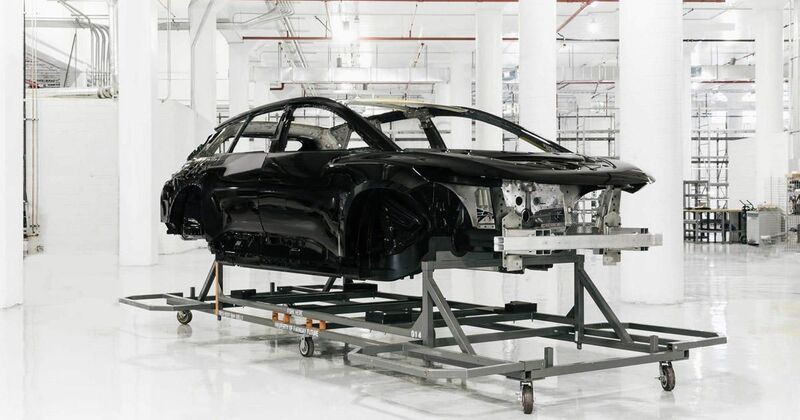 In June, Hong Kong-based Evergrande Health assumed Season Smart Limited’s commitment to provide Faraday Future with about $2 billion in funding, starting with an initial investment of $800 million, followed by the remainder in the years to come. This would make Evergrande FF’s primary stakeholder. However, according to a Reuters report, FF blew through that $800 million and asked for another $700 million to keep meeting its commitments, including supplier payments, which Evergrande declined to do, despite FF saying the group agreed to it. The two haven’t been on good terms since. This comes at a pivotal time for the Sino-American startup. It’s working on more preproduction prototypes after its first body-in-white was completed in July. The company is trying to meet its promise of making FF’s first delivery in December, but with the new financial kerfuffle unfolding, it’s unclear if across-the-board pay cuts will be enough to keep the timetable as-is. You can read Faraday Future’s full statement below. Today Faraday Future announced a plan to realign its business objectives to ensure the continuance of its operations due to Evergrande’s failure to live up to its end of the bargain and make the payments it agreed to. Given the situation, the Company has reviewed its short-term operating plans to identify ways to manage expenses and protect the long-term future of FF. As a result, the Company has come to the following difficult but necessary temporary decisions. Effective immediately, all FF salaried employees will receive an immediate 20% cut to their annual base salary, and effective next week, all hourly employees will receive a 20% cut to their hourly wages. The Company is committed to monitoring its finances and will reevaluate this decision with the goal of restoring salaries once funding is available. As an additional measure, we are reducing our headcount. We recognize that those who are now leaving have contributed tremendously to FF, and we appreciate their contributions. During this transitional phase, FF Founder and CEO YT Jia has decided to take a $1 annual salary. In addition, members of the leadership team have volunteered to take a further reduced salary beyond the 20% reduction. We take pride in our close-knit community, and we are mindful of the impact these changes will have on our employees and their families. These steps are unfortunate given the great progress we have made as a company in recent months. The Company is taking concrete steps, including pursuing funding opportunities with those who share our vision. We are committed to making progress towards our goals, and continuing the necessary investments in our people, our products, technology, and business to develop an industry-leading connected mobility ecosystem. No further information related to the financial state of FF including additional business operations will be communicated at this time. Faraday Future FF91: Come along as we watch the FF91 do some high-speed testing. Faraday Future at CES 2017: It was an honest-to-goodness spectacle.